family in a calm, quiet, and professional environment with prices you can afford. their smiles, – and we take that responsibility seriously. At Manganello Family Dentistry, your smile is our top priority. Our entire team is dedicated to providing you and your family with the highest quality dental care in a friendly, compassionate environment. Our highly-trained dentists and staff understand that some people find dental visits intimidating. That is why we have a patient-centered approach that alleviates anxiety and ensures patient comfort. 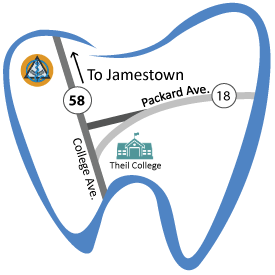 Part of our commitment to serving our patients is providing you with the right information to make informed decisions about your oral health needs. When you visit our office, our experienced and talented dental team will take the time to answer all of your questions about your dental care, and make sure you understand your treatment options. It’s this kind of personal attention that sets us apart and enables us to take care of so many people in our community. Our patients, children and seniors alike, tell us that we make them feel at home. Our goal is to be your family’s go-to team for quality, personalized dental care.